North Dakota Railroads And Railfanning In "The Peace Garden State"
North Dakota is usually thought of for two things, lots of originating grain and other agricultural products (of which 70% makes up the state's total overall originating freight) and main lines heading to the Pacific Northwest. 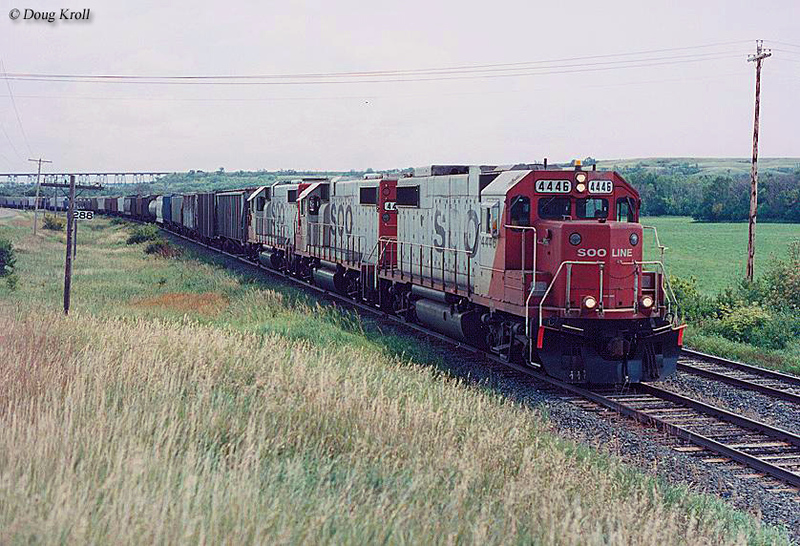 At one time North Dakota was home to no less than three main lines heading to the west coast although today only one remains in continuous operation. 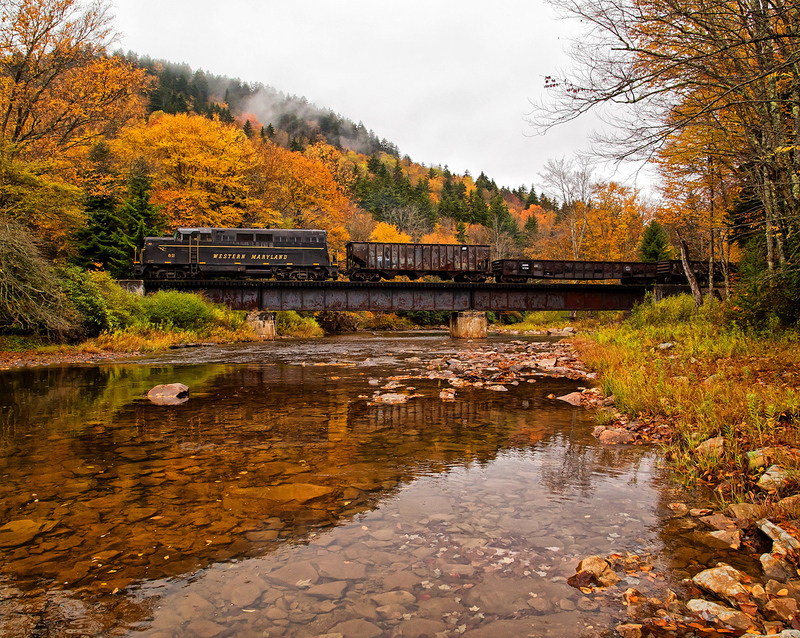 While the state was once home to a number of classic railroads those heading west the majority of the state's trackage during the industry's heyday was operated by Northern Pacific, Great Northern, and the Soo Line. Today, the Peace Garden State is mostly the realm of BNSF Railway and Canadian Pacific Railway although a handful of shortline railroads continue to operate there as well (about a half-dozen), most of which move large amounts of agricultural products and serve several grain elevators. 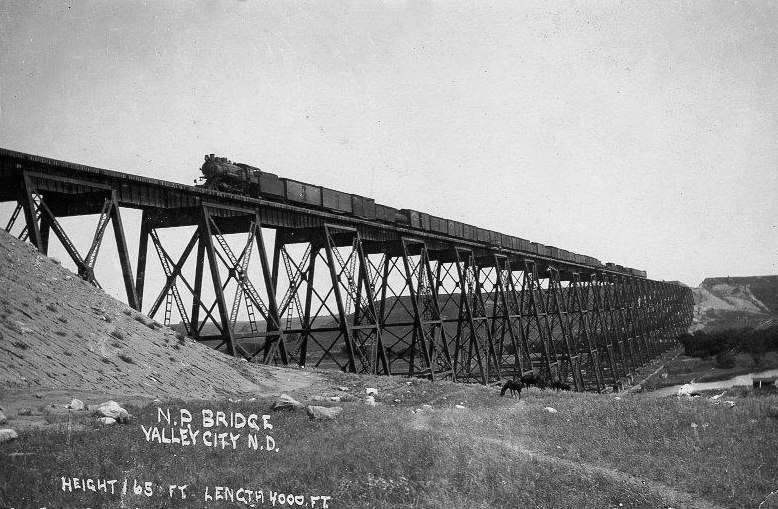 North Dakota railroads date back to 1872 when the Northern Pacific Railway reached the Fargo Territory (well before any of the land in the region reached statehood) building towards the west coast. The Northern Pacific was the first railroad building towards the Pacific Northwest and given the lack of transportation infrastructure and technologies of the time it did not reach Portland, Oregon until 1883. 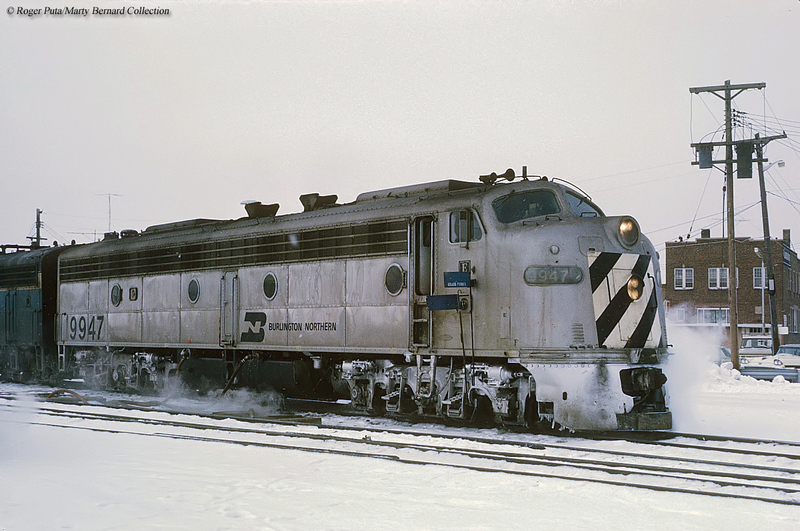 Along with the Northern Pacific, in the coming years the state would find itself home to the Great Northern and the Chicago, Milwaukee, St. Paul & Pacific Railroad (the Milwaukee Road), which also were building west. 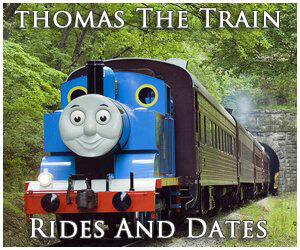 The Great Northern, headed for years by legendary railroad mogul James J. Hill came into being by 1889. Interestingly, with the NP already established and improved building techniques the GN completed its main line to Seattle in just four years, opening in 1893. The Milwaukee Road was the last to build its line to Seattle, not embarking on the task until around the turn of the 20th century, completing the route to Seattle by 1909. While the Milwaukee's main line skirted the southwestern corner of North Dakota it actually had very minor operations in the state. 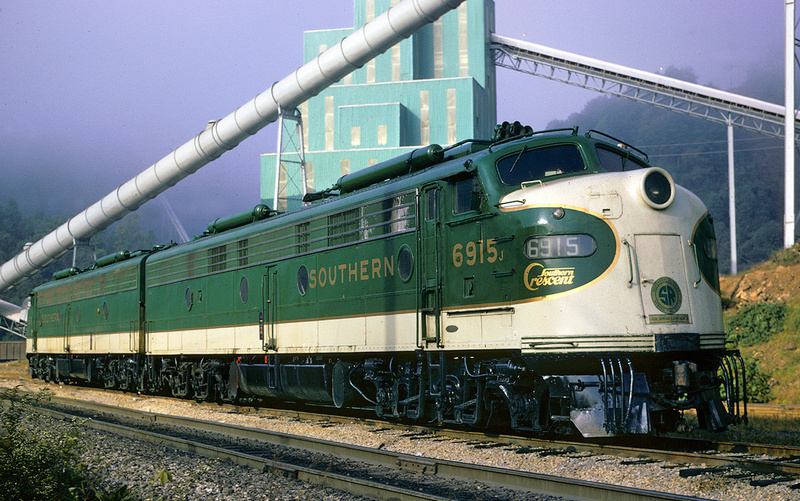 Along with the three railroads which predominantly operated in North Dakota the Chicago & North Western Railway also had a few branch lines into the southeastern corner of the state. 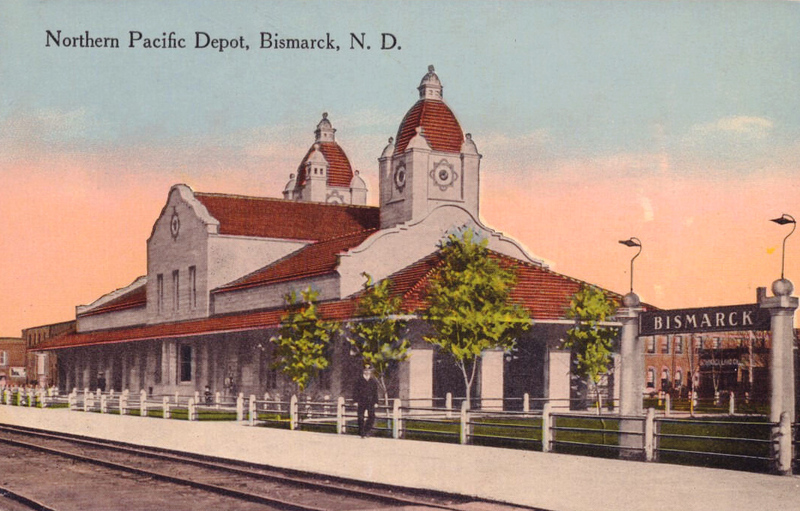 Today, North Dakota is almost exclusively the realm of successors BNSF Railway and Canadian Pacific (the latter of which operates the former Soo Line and remaining Milwaukee Road trackage). 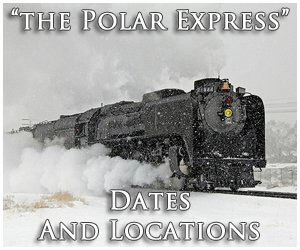 The rest is operated by shortline railroads Dakota, Missouri Valley & Western Railroad; Northern Plains Railroad; Dakota Northern Railroad; Mohall Central Railroad; Yellowstone Valley Railroad; and the Red River Valley & Western Railroad. Today, the Peace Garden State's railroads use some 3,600 miles of its original infrastructure, which topped out at over 5,300 miles during the golden era of the 1920s when mileage peaked around the country. Interestingly, despite the fact that North Dakota relies heavily on farming as its primary staple of rail traffic it still retains some 67% of its original infrastructure, likely due to the through routes that still travel through the state. 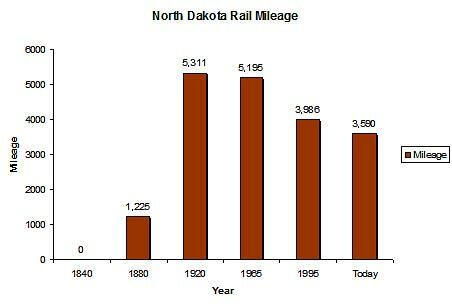 For more information about the state's railroads, in terms of route mileage over the years please refer to the chart above. North Dakota may no longer feature famous passenger trains like the GN's Empire Builder, NP's North Coast Limited or Milwaukee's Hiawatha's but Amtrak does continue operating the legendary Builder through the state, one its most popular and recognized long distance passenger trains with stops at Fargo, Rugby, Stanley, Williston, Minot, Devils Lake and Grand Forks. 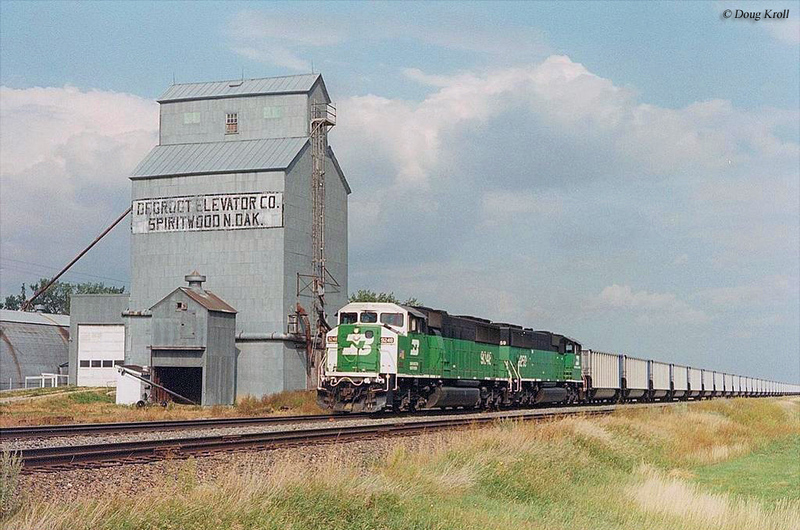 Passenger and freight trains aside North Dakota is also home to three railroad museums you may be interested in visiting. 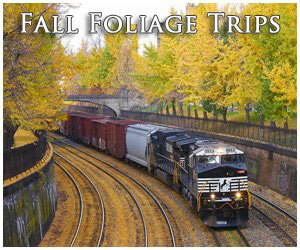 These include the Fort Lincoln Trolley, North Dakota State Railroad Museum and Railroad Museum of Minot. 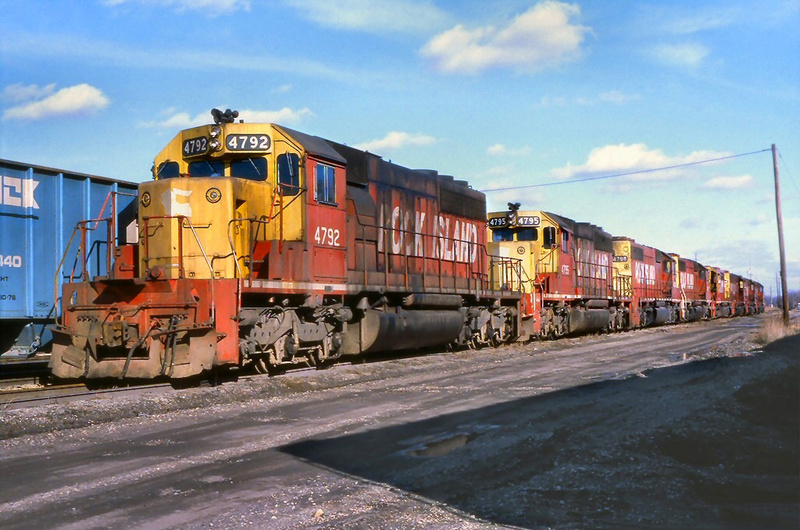 In all, North Dakota railroads feature some interesting operations in the Northern Plains region that are well worth a visit. 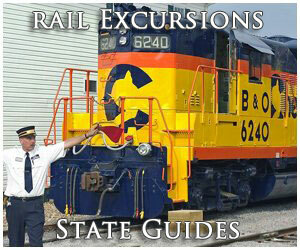 For instance, if you plan a trip north don't miss, among other things, BNSF Railway's spectacular bridges; the 3,860-foot Highline Bridge in Valley City and the 1,792-foot Gassman Coulee Bridge near Minot.